This year we will be hosting two plantout days, please add them to to your calendar and check back here in July for registration details. Alternatively email [email protected] to be added to our mailing list. Sunday September 8th: Plantout day in Lincoln and surrounds. Read below for more information about our events and please note that if postponed we will plant the following Saturday or Sunday. Why become a volunteer ! With less than 1% of vegetation remaining on the Canterbury Plains, we need you help to plant native greendots. 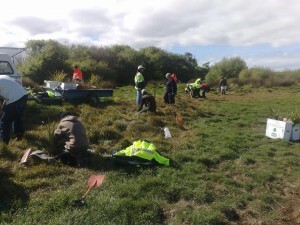 Every year Te Ara Kākāriki plants natives at a number of sites. Te Ara Kākāriki invites those with an interest in the environment or those that love getting outdoors or those that want to contribute. Get involved. Volunteer to become active agents of change. 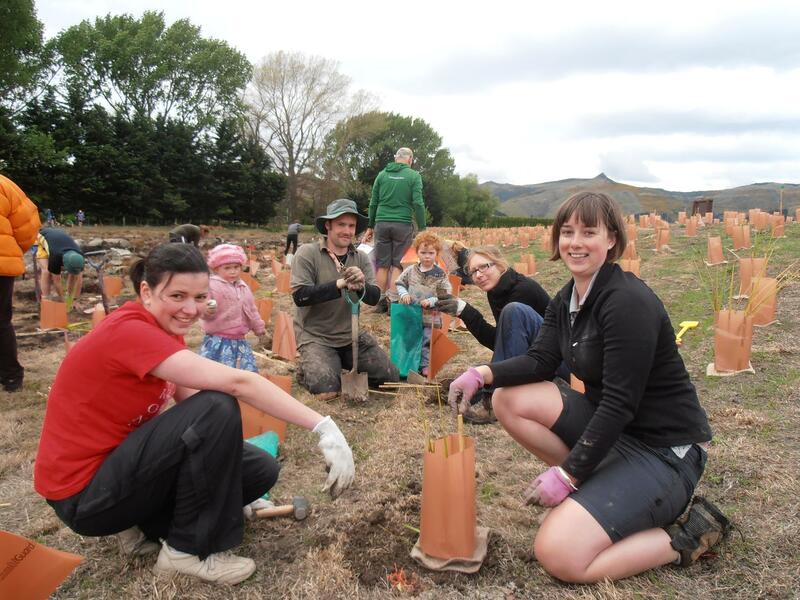 You can volunteer for one of both of the Canterbury Plantout days in spring. TRANSPORT: Upon registering, you will be able to choose the closest bus pickup location for you in Christchurch District or in Selwyn District. The bus will take you to the sites, and back in the evening. PLANTING SITES: You will plant at a morning, and afternoon site, so you will experience a range of plants according to the soil, topography and micro climates. Sites vary within Selwyn, depending on the scheduled event. WE PROVIDE: Gloves and spades and food. FOOD: Depending on the budget of the plantout, we will provide morning tea, a filling fresh lunch and afternoon tea. On our largest day, we finish the day with an early dinner and live music. Upon registering, please indicate your dietary needs. BRING: Please bring your friends and family, sturdy shoes and a sun hat. REGISTER: Volunteers must register for events – usually posted two months before the event, and closing two days before the planting. SMALL DONATION: Most of the funds for restoration projects are provided through public funding. This is the one time in the year we ask for a small contribution from volunteers. Please consider giving $10 per adult, and $5 per child to help us cover our costs. Click the yellow donate button – top right to donate. POSTPONEMENT DATES: We always have a back up day the week after in case of bad weather.